Momcookfood is built from blogging concept with more features and flexibility to give serious bloggers something special. 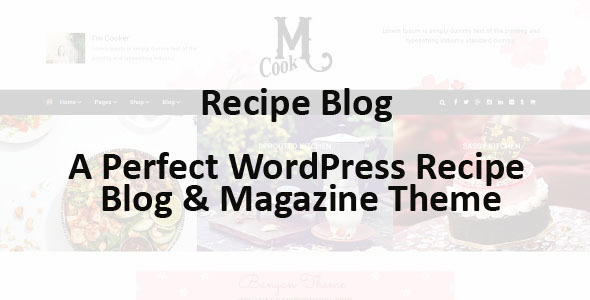 Momcookfoodâ€™s clean , clutter and stately aesthetic design is the perfect choice for the creative blogger. Momcookfood delights visually and functionally, giving you the power to customize your blog with just a click of the mouse. All images only for theme preview.